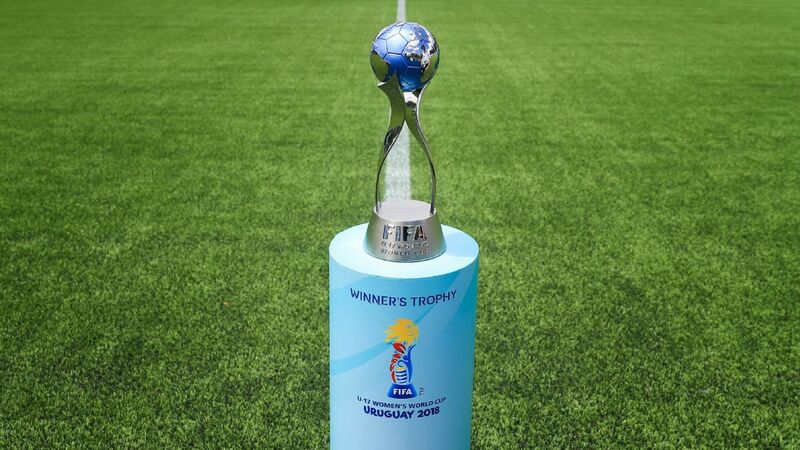 It's been an eventful week since the completion of the U-17 World Cup, the first FIFA event hosted by the Indian subcontinent. While the headlines since then have been dominated by the court ruling that removed All India Football Federation (AIFF) president Praful Patel from his post, there's a need to look beyond the immediate and see what the World Cup did for India and where Indian football can go from here. So can the World Cup make a difference? Santosh Desai, columnist and CEO of Future Brands sounds bullish on the future. "There will be two kinds of people -- those that recognise that football is the number one sport in the world and by being on the ground floor now, eventually India has to be part of it," says Desai. "Others may not support it because of our football standards. But I would think a majority will take the optimistic call on this." FIFA technical director Steven Martens, who was in India for the tournament, says backers of the football in India need to come forward and stick with the sport in the long term. "Although football has been played in India for a long time, there has only been a realisation in the last couple of years that you would like to do more," he says. "The passion is growing; the access to the sport on TV is growing. The idols are more visible so there is more of a dream. People want to participate more and that is what the AIFF will have to pick up (on)." Martens believes the need of the hour is to cash in on the "euphoria" around the World Cup right now. "That's both the opportunity and also the pitfall of the situation," he warns. "A lot of investment has gone into the team and this event and that is great because that needed to happen. But now those who have invested in it need to keep investing in it." "This World Cup could be a turning point. But it is interesting how turning points go. It can turn upwards but also turn downwards," says Martens. "If you look at the experiences of what happens here, take it as a point of reference and assume that you will get the same results every two years without making any structural changes or actions then it might be a disappointment." What's the issue that needs to be addressed first? More football would lead to more leagues, enhancing the performance of both players and coaches. Put simply, more football, more leagues. "To impact a wider set of players you need to target coaches, facilities and leagues," says Ajax Coaching Academy manager Corne Groenendijk. "From the top down, you need to make things available. I think you need several leagues. A national league from U-13 will be the best because it will be the first time you play serious competition. "But you will need a lot of money so there you will need to find sponsors. That is an advantage that smaller countries have," says Groenendijk, citing the example of how the junior teams of Ajax only need to travel short distances to get successive games against big clubs like Feyenoord and PSV Eindhoven. "You need to work top-down and bottom-up. Bottom-up means more competitive opportunities for kids at the lower levels. The number of games has to go up and the season has to get longer, six months and eight months a year. Competition will drive the sport to develop a football culture in general. It might not happen in all areas of the country but make sure it is happening in sufficient areas of the country," he says. Groenendijk contests that exposure tours, such as the ones undertaken by the U-17 team in preparation for the World Cup, are not enough. "In India, if you have 10 ISL clubs, these clubs need to have a youth academy system and they need to play each other frequently. They will gain a lot of experience and game time (that way)." It is a thought impossible to argue against; England's U-17 World Cup winner and right-back Timothy Eyoma was defending against Spain's forward Cesar Gelabert in a UEFA Youth League game between Tottenham Hotspur and Real Madrid in Enfield on November 1 -- just four days on from a physically and mentally exhausting World Cup final that the latter started. Gelabert would score the first goal for Real in a 3-2 defeat, but the experience of playing varied levels in different competitions will do a world of good for both. Next on the priority list? Gouramangi Singh (L) became one of the eight coaches who successfully cleared AFC's B license course in July. The coaches. Patel has spoken of a desire to set up a National Centre for Excellence within the next two years, supported by at least six football academies around the country. One of the key thrusts behind some of the decisions from here on is to enable a wider ecosystem around the sport in India, not just for players. Henry Menezes, former India international and deputy chairman of the AIFF technical committee, for instance, says the thought behind extending the contract of U-17 coach Luis Norton de Matos was to create a "second line" of coaching. Matos' support staff at the World Cup was conspicuous by the absence of any Indian but he will now work with India's Floyd Pinto, who has been with the India U-19 team for a while. Menezes says the World Cup has taught India to both embrace modern methods, and yet find an Indian way. "The emphasis on sports science, psychologists, physiotherapists, nutritionists and trainers is so high in this sport now, that we must use every scientific method available, and from the age-group level itself," he says. "We can't just copy Germany or Japan, we have to adapt to our own system." The good news? 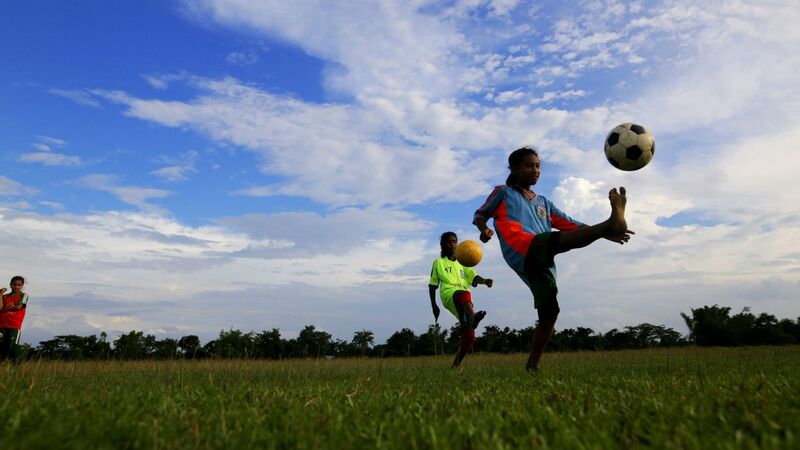 AIFF has started a U-13 League, which will be played across zones this season, and more and more of India's recent internationals are seeing the benefit of getting into coaching. Among the eight coaches who successfully cleared AFC's B license course in July, two are Mehrajuddin Wadoo and Gouramangi Singh, former India teammates and regulars in all seasons of the Indian Super League (ISL). The Indian team at the U-17 World Cup. "There is no doubt that people are in a mood to explore sports beyond just cricket, and this has probably heightened over the last couple of years," Desai says. "The issue is that it needs to be in a sport where India does well or at least is competitive. In the absence of that, the challenge will not be overall popularity, but how will a local connect with India come about." Desai warns of the potential error of comparing football in India with cricket's Indian Premier League (IPL) and other leagues that have been reasonably successful in commercial terms. "The thing to get cautious about is that it is easy to overprice something easily, especially in the era of the IPL. IPL worked because the format was there and it works, and kabaddi worked because there was no frame of reference. If the denominator is kept under check, football can work as a brand. But we must not get too far ahead of ourselves," he says.